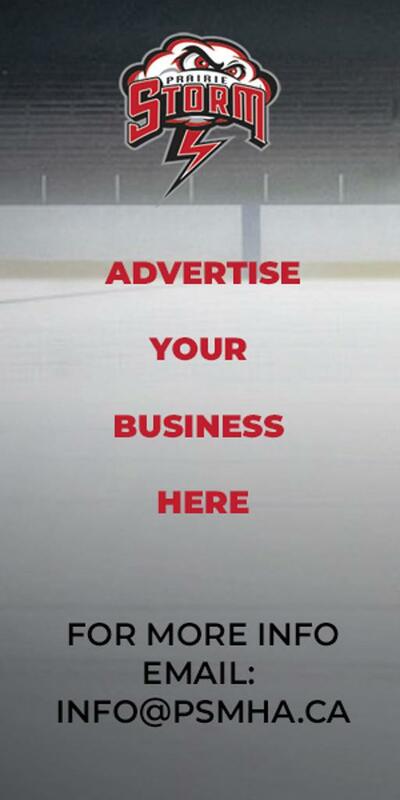 The Regina Pat Canadians home season opener is this Sunday, October 14th at 3:00 PM, Cooperators Centre. 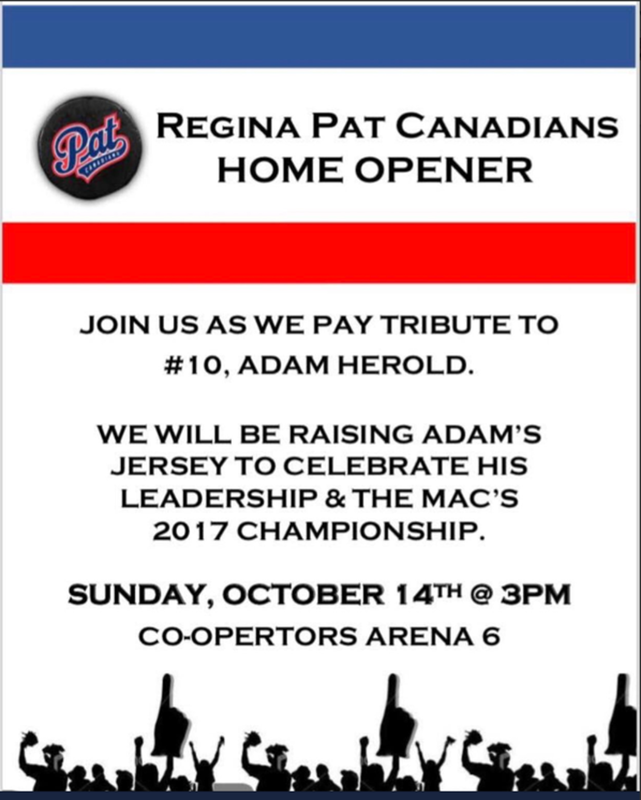 There will be a pregame celebration honouring Adam Herold as his jersey will be raised to the rafters as they remember his leadership as a Pat Canadian. 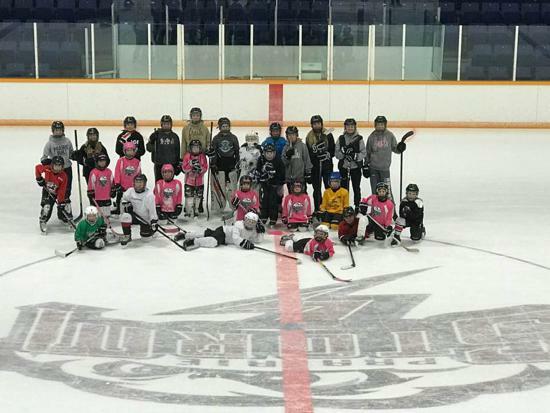 On Saturday, October 6th, PSMHA took part in International Ice Hockey Federation (IIHF) and Hockey Canada's "World Girl's Hockey Weekend. 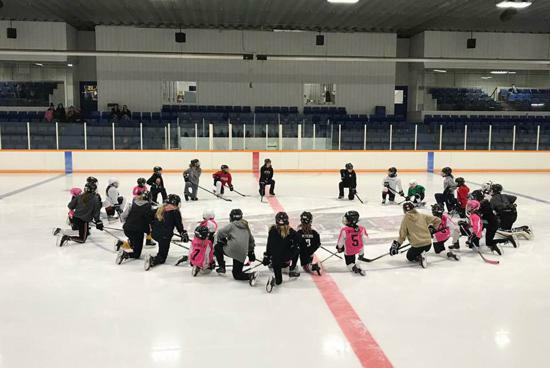 This event aims to celebrate and grow the Female Game from coast to cost and unite Canadians through grassroots programming that is led through Minor Hockey Associations. 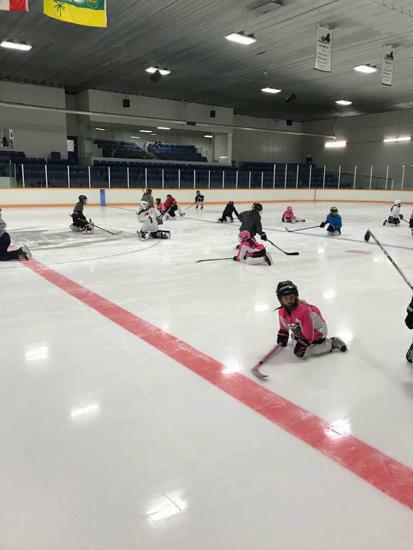 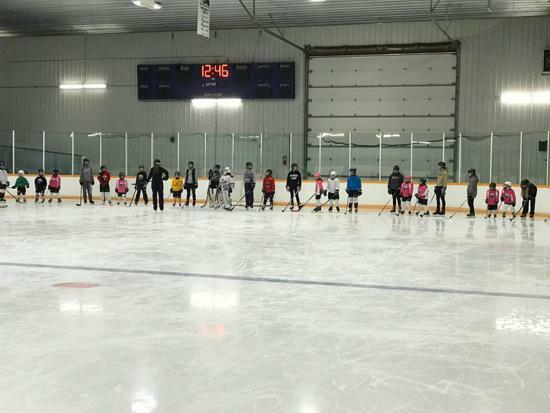 Our Female Hockey Committee put on a fun skate for Initiation, Novice and Atom aged girls. 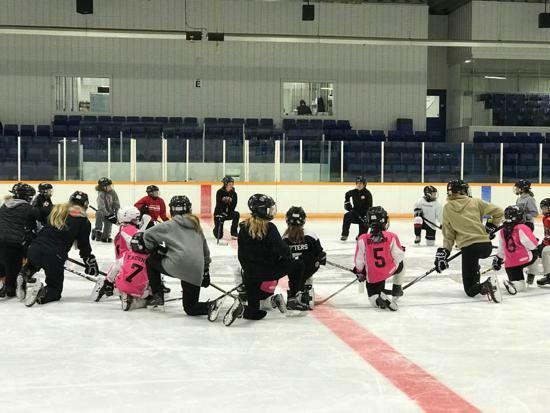 Pee Wee, Bantam, and Midget aged players gave back by participating as on ice mentors to the younger girls. 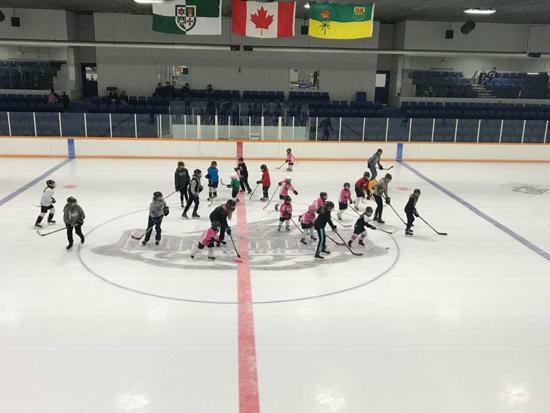 Following the on ice portion, the event participants were provided with free admission to the University of Regina Cougars women's hockey game at the Cooperators. 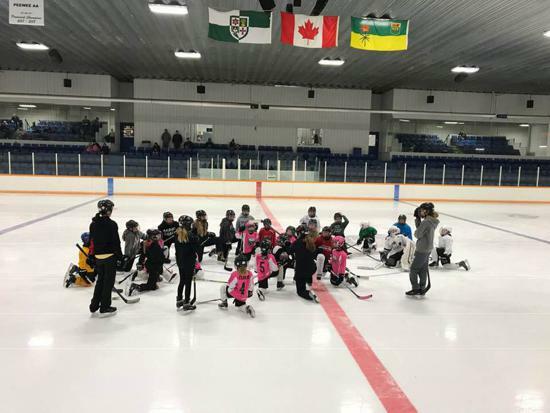 We would like to thank all participants, volunteers, our female hockey committee and the U of R Regina Cougars women's team for making this a special day for our future female athletes! 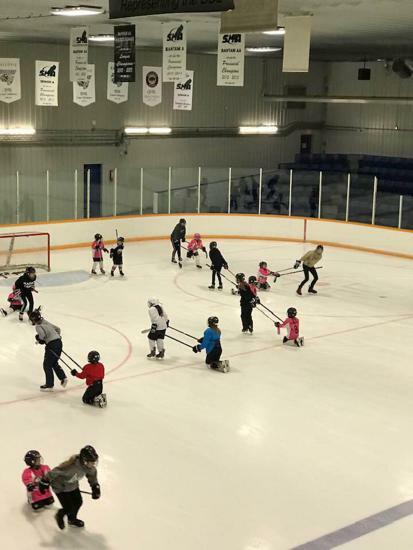 PSMHA will be hosting an SHA Officials clinic on Saturday, October 14th from 9 AM to 1:30 pm at Greenall High School (Balgonie) followed by an on ice portion from 2 PM to 4:30 PM (Balgonie Stardome). 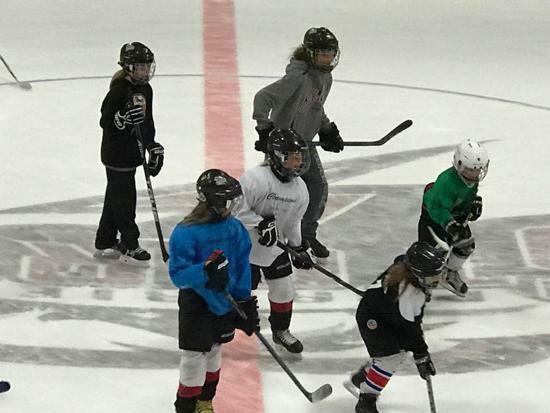 You must be registered as an official with SHA prior to this clinic to attend. 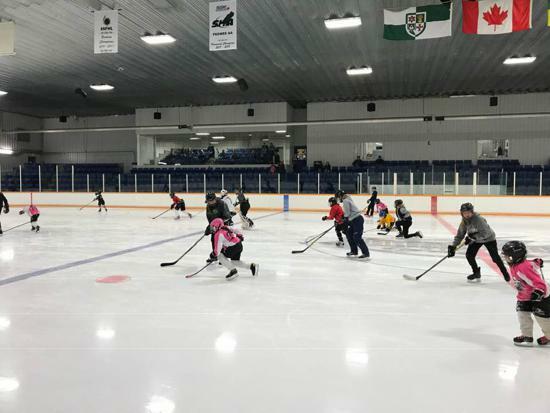 Also, PMSHA will be hosting a Timekeeper workshop Sunday, October 14th at 7:30 PM (Balgonie Multiplex) for all PSMHA registered timekeepers. 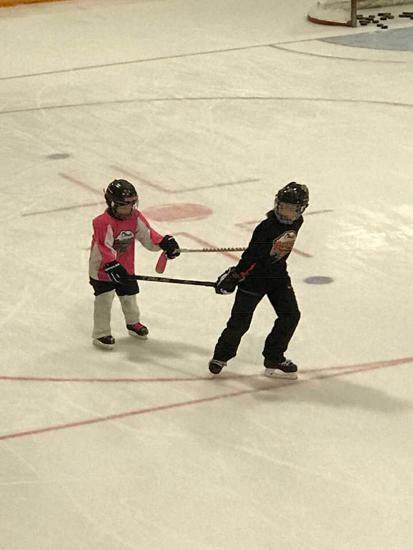 The hockey season is in full swing! 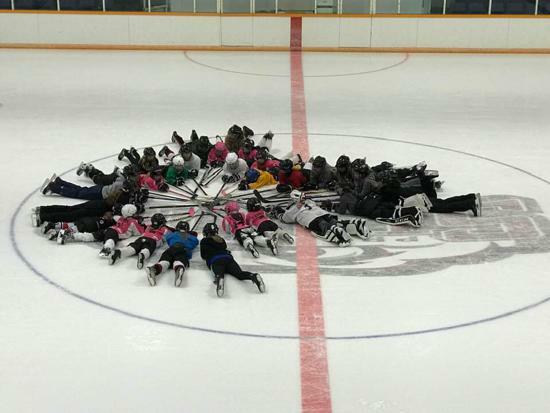 Be sure to be familiar with SportsEngine basics so you can stay in the loop with your team. 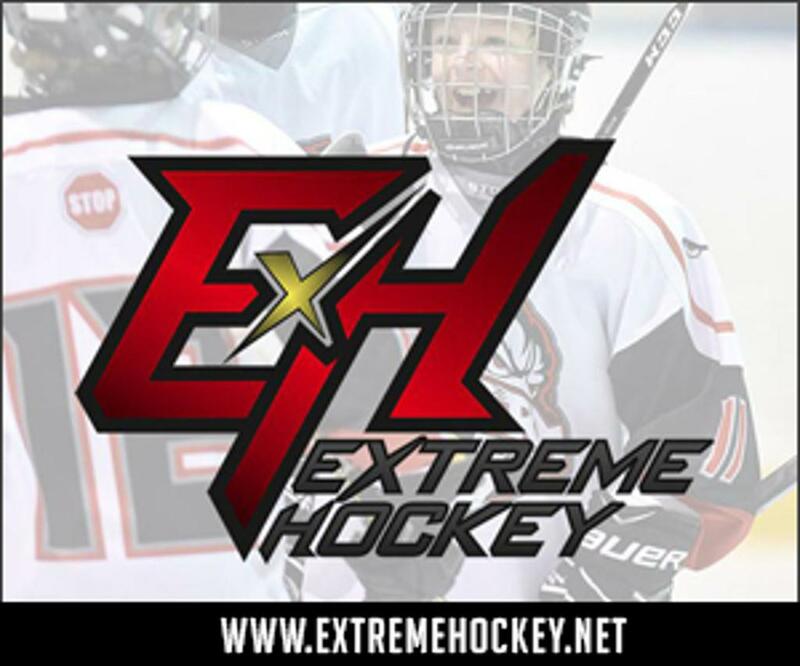 We have added a SportsEngine Guide (pdf) along with essential how-to's to our Parents & Athletes page. 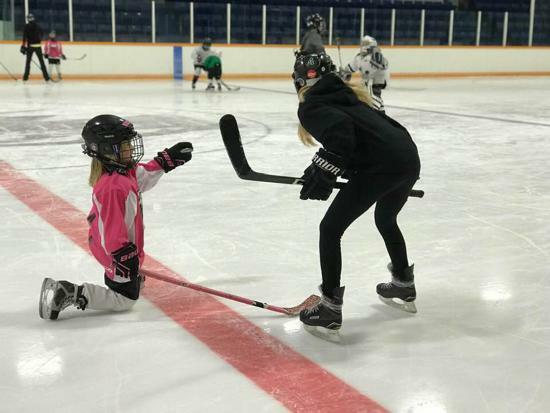 Wether you need help getting started, a parent not getting team emails, or participating in team chat, be sure to check out the Parent and Athlete page.